Have you ever wondered why it gets easier to balance a bicycle the faster you are traveling? Or why there are dimples on a golf ball? Or whether harvesting wind energy changes the environmental balance? If the answer is 'yes,' then perhaps you should consider majoring in mechanical engineering. Here, your curiosity and inventiveness will soar as you learn to look deeper into the behavior, design and production of things we use every day. 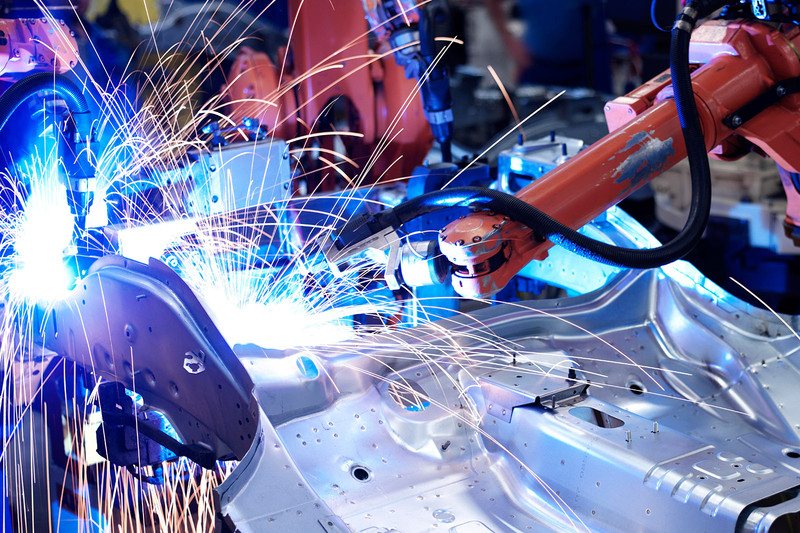 With a Bachelor of Science in mechanical engineering from Clemson, you will be able to apply engineering analysis and design to matters that affect our everyday lives such as manufacturing; energy conversion and conservation; machines; materials; health; and vehicles for air, sea and land transportation. Because science and technology are ever changing, our program focuses on fundamental principles as well as modern tools. You will develop a foundation on which to embark on a path of lifelong learning as you practice mechanical engineering; earn advanced degrees; or go on to practice law, business or medicine. 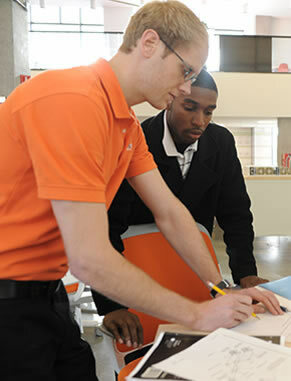 The demand for mechanical engineers is very high, and interest in our program reflects that trend. 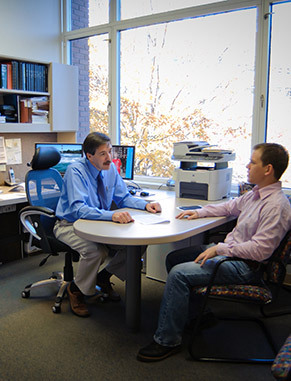 Our faculty members are internationally recognized in education and research. More than 70 percent of our students have participated in a co-op and/or internship, according to our latest senior exit survey. Our faculty have degrees from top institutions worldwide, significant experience in industry or national labs, and many are fellows in professional engineering societies. With our B.S./M.S. program, you can earn up to a semester’s credit toward a graduate degree while simultaneously satisfying requirements for your undergraduate degree. All students planning to choose a degree in an engineering discipline will apply to Clemson as a general engineering major. Freshmen who major in engineering at Clemson are initially admitted into our general engineering program, where you will learn math and science fundamentals, problem solving methods and modern analytical tools, all of which are common to all engineering disciplines. During freshman year, you will make a decision as to which discipline you will enter. Mechanical engineering has a minimum GPR requirement for admission. Studying mechanical engineering prepares you in the basic sciences and math, thermal and fluid science, and mechanical systems. As classes progress, you will develop your analytical, design and experimental abilities, which will prepare you for the challenges and questions you will face in your career. Seniors choose from our technical electives classes, providing chances to focus on your interests or obtain a broader view of many mechanical engineering topics. Seniors also collaborate with classmates to solve a real-world problem supplied by an industry partner. Combined Bachelor’s/Master’s Program: Get a jump-start on your Master of Science in mechanical engineering while completing your bachelor’s. In our combined-degree program you can apply up to 12 credit hours toward your graduate degree while simultaneously satisfying your technical elective requirements for your undergraduate degree. 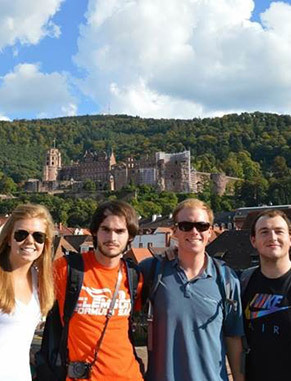 Our students are active outside the classroom through student organizations, Creative Inquiry group and independent research projects, community and University service, and study abroad opportunities. 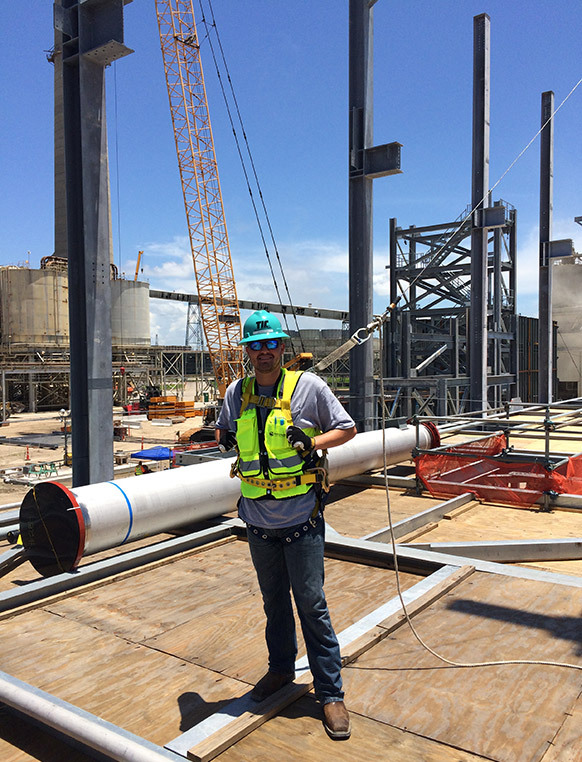 Engineering is an international profession with more and more companies expanding worldwide. We recognize this and offer various international opportunities ranging from summers abroad to a full-term exchange programs. 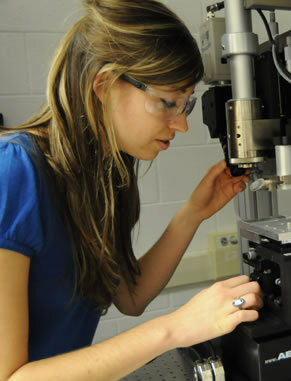 Clemson's Pi Tau Sigma chapter of the mechanical engineering honor society fosters high ideals in the profession. Members stimulate and support departmental activities, promote professional welfare and develop leadership and citizenship. The American Society of Heating, Refrigerating and Air-Conditioning Engineers works to advance heating, ventilation, air conditioning and refrigeration to serve humanity and promote a sustainable world. The Society of Automotive Engineers is an international organization created to share knowledge between students and engineers. 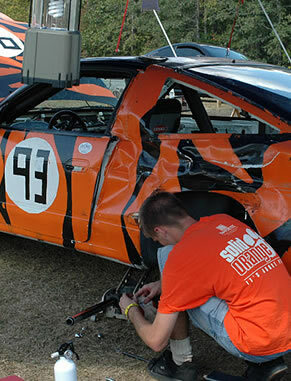 Clemson’s student chapter is dedicated to promoting the advancement of designing and building of automotive vehicles. 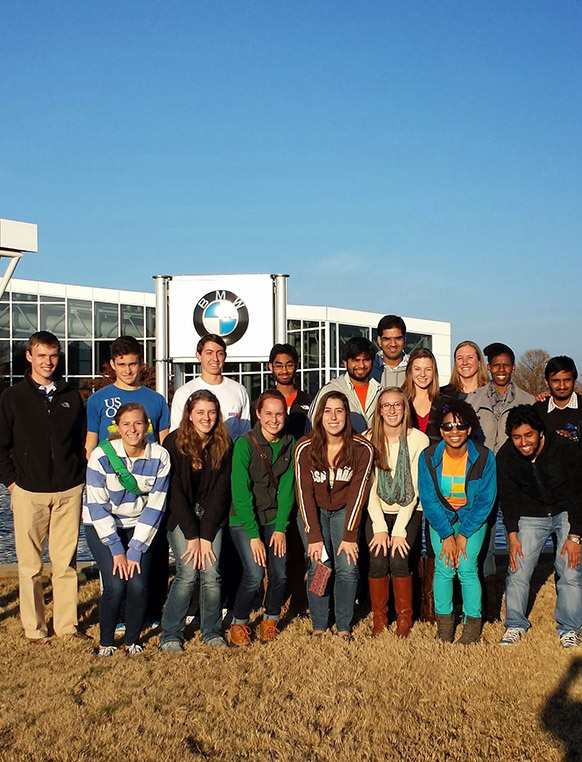 The Clemson Student Chapter of the American Society of Mechanical Engineers is a volunteer organization executed by undergraduate and graduate mechanical engineering students. Clemson’s Society of Manufacturing Engineers chapter is devoted to engaging students interested in or associated with the manufacturing field. The chapter brings in speakers, organizes plant tours and offers networking events for students. Many of our students choose to do co-op where they spend several semesters and one summer alternating between working in industry and taking classes on campus.